Goal: We will run a Parity Full Ethereum node and will measure the task of running an Ethereum node on 3 matrices: Time, Infra and Skill. What is an Ethereum node? A device/program which interacts with ethereum network is called node or client. This node interacts with blockchain and provides multiple functionalities such as querying blockchain, executing transactions, managing wallets and much more. There is multiple ethereum clients implementation in which Geth (go-ethereum) and Parity are the most popular. 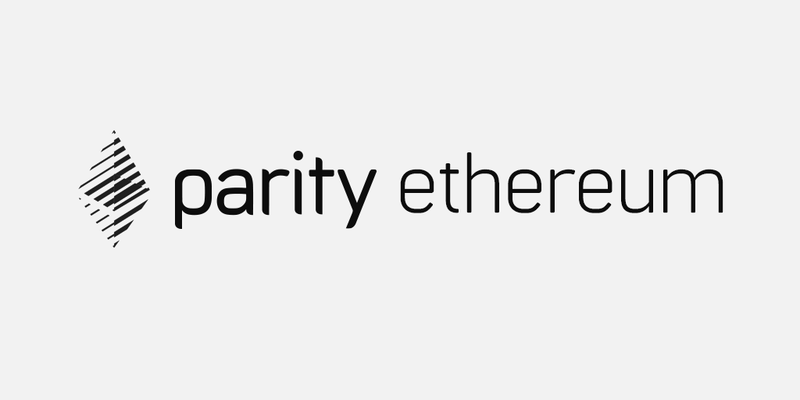 We will be running our Ethereum node using Parity implementation. pyethapp (Python) wiki, used for Casper FFG, repo. Includes py-ethereum, which in turn includes Serenity R&D. EWasm, just an alternative to the EVM that is compliant with the EVM ABI. Sharding implementations for Geth by Prysmatic Labs, Parity by Drops of Diamond, py-evm, Pegasys, and Nimbus. Exthereum (Elixir) (fully working EVM implementation, not a client). Solidity EVM (Poc), not intended to be a complete client, just for runtime one-off execution. A Blockchain node keeps the copy of transaction history. While starting your own node you need to get this copy from other running nodes. This process is called node sync. There are different ways to install Parity, depending on your OS. I am using Ubuntu 16.04 for running Parity. You can install Parity binaries using one line. If you are running Windows or MacOS, you can check installation instructions here. Once installed we will choose what kind of sync we want to run on our machine. There are multiple types of syncs are provided by Parity client. Blockchain data is normally in GBs, and in some cases *TBs* (Ethereum Full Archive node is ~1.81 TB. There are different types of syncs which you can run depending on the application you’re building and the security you require. For example — if you are running a mining Grid, you’ll need to have Full Archive nodes; if you are a developer just starting to learn Ethereum, a light node sync may be enough for you. A Full node normally contains a full copy of blockchain. Running a Full Ethereum node needs a lot of computing and storage resource. Full node sync verifies blocks validity, replay all transactions (this utilizes CPU and disk IO heavily). To run a Full Ethereum node you’ll need a multi-core CPU machine and at least 200 GB of high-performance disk space (i.e. SSD), and if you want a Full Archive node with all the history and state of blockchain you need at least 2TB storage (also SSD, or blocks will not process quickly enough to achieve a sync with the network). Internet bandwidth also important here, you need at least a standard DSL connection. Light node or Light clients do not download a full copy of blockchain and rather depends on a Full node to request a certain type of information on-demand basis. These light nodes are not secure as they depend on the honesty of Full nodes in the network. Before going further let’s discuss different types of full and light node syncs available with Parity client. So you can decide which one you want for your node. Parity light client (version >=1.11) starts synchronization from a hardcoded block number if no related database was found on the device. This allows reaching the top of the chain in a matter of seconds. Run this command for parity light node sync, after installing the parity. 2- Use the flag --no-hardcoded-sync — as --light option uses a hardcoded block number as a starting point, to prevent this behavior and sync all headers starting from the genesis block. the chain's specifications. This disables this feature. Warp sync — Parity also provide an option called warp sync, this is default sync method even if you don’t use --warp option. Warp Sync is an extension to the Ethereum Wire protocol, which involves sending snapshots over the network to get the full state at a given block extremely quickly, and then filling in the blocks between the genesis and the snapshot in the background. Rather than downloading the whole blockchain and replay every transaction, Warp sync downloads all the blocks header and transaction receipt to reach the latest state. This sync can take up 1–2 days depending on your network bandwidth. You can read more about it here. This disables downloading of old blocks after snapshot restoration or warp sync. The result is you start at current best block minus 30,000 historic blocks and will only keep the future blocks without downloading the full history. However, this should not be used in production or on any node that is used to manage any value of Ether or Tokens. Because malicious nodes can easily provide you with tampered snapshots or blocks. The only way to ensure full integrity of the received data is a full verification of all blocks including ancient blocks. Parity provides extensive configuration options for your node. Though you should only use them if you understand them completely. You can check full configuration options here. Parity also provides a GUI configure generator for your node, Check here. As we described above running an ethereum node require 3 major resources. Time — Apart from Light node sync, every other node sync type takes a lot of time (days-weeks), this can be frustrating for a developer or anyone who wants their node up and running to perform his/her task as quickly as possible. Infra — Infra can be a real barrier, though current laptops come with decent SSD storage. If you run a Full node on your home system, probably you won’t be using it in production. So for serious development, you have to use some cloud service (a machine with 2TB external disk and 2 CPU with 7.5 GB internal memory cost around 180$/ month on Google cloud). Playing with various providers, we noticed that 8GB+ RAM is better, and dedicated CPU instances are far more consistent at being on the latest block vs. standard/shared instances. While it is possible to run a bare Full node on a few GB of RAM and 2 CPU, it’s not something that would work reliably in production under a consistent load, over an extended period of time. Skill (to maintain and secure the node) — This is where sysadmin skills kick in. If you are not a sysadmin, it can be a real pain point for you. Even if you are a well-seasoned developer with command-line mojo and kernel & network-tuning skills, it’s not exactly ideal for you to spend hours managing your node, learning about security, and handling node client updates — this is all valuable time you could be spending building your application, developing features, and launching quicker than your competition. As there is no incentive to run a Full node yet [check here] (unless you are building a business on it), running and maintaining a Full Ethereum node is a cumbersome and resource-exhaustive process. This gets weirder when you try to run multiple nodes with different clients. We at QuikNode are solving this problem for you. With QuikNode, you can spin up your own Ethereum node in minutes. QuikNode is reliable, scalable, and developer friendly. We have helped a lot of Ethereum business build fast and scale their applications. We learned a lot by running, managing and maintaining thousands of Ethereum nodes since July 2017, which we’ll share with you in upcoming blogs. So sign up for our weekly newsletter and updates! Latest news, research, and tutorials for QuikNode services!